The Ideal self-inking stamps work and feel as great as they look. Their numerous patented features make them a pleasure to use. Just one impression and you will appreciate the ergonomic shape and heavy duty construction. the Ideal self-inking stamps feature precision components for a smooth, quiet action and many years of trouble free operation. 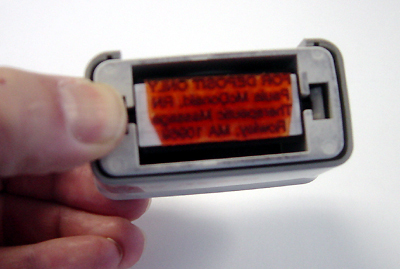 A full visible label lets you choose the correct stamp every time. Make thousands of impressions without re-inking! 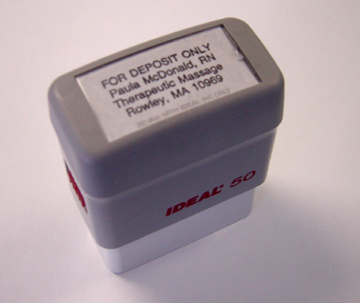 Ideal self-inking stamps are an excellent choice for your high volume stamping needs. They have been tested to 1,000,000 impression cycles. No other stamp looks like it: no other stamp works like it! 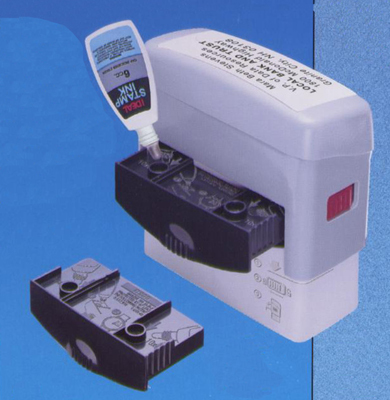 Patented Re-Inking System: Accurate re-inking is a snap with the Ideal re-inking system. No messy hands or blotchy impressions. To refill, just add ink into the ports on top of the ink well. The ink flows through our patented re-inking system and evenly distributes itself throughout the ink pad. In just minutes the stamp is working like new. 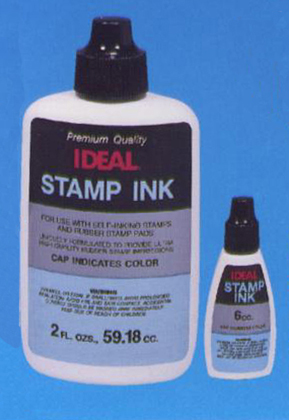 Ideal Premium Quality Stamp Ink available in a selection of colors and 6cc, 2oz, Quart & Gallon sizes. Patented Replacement Pads are available in various ink colors. 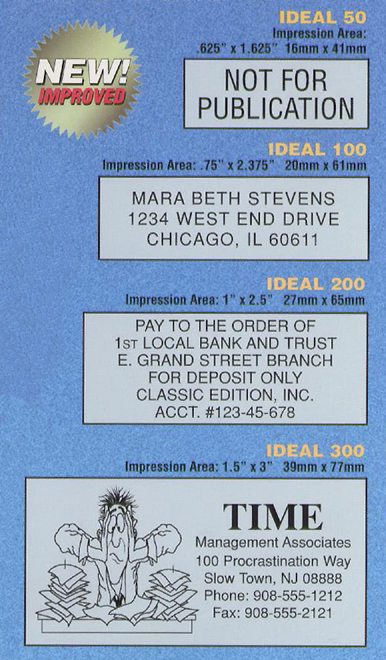 Ideal 50 - Impression area .625" x 1.625"
Ideal 100 - Impression area .75" x 2.375"
Ideal 200 - Impression area 1" x 2.5"
Ideal 300 - Impression area 1.5" x 3"
We also carry a line of Ideal Date Change Stamps we will be adding photos shortly. Go To Contact Us to email / call / fax us, and we will give you a price range.